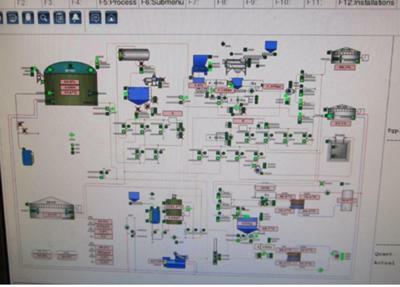 Provision of software tools for process energy balances, waste audit and waste management. Current research projects reflect these interests and have led to the design of novel reactor systems and operating protocols to meet the challenges of new and adapted technologies for environmental protection, renewable energy production and sustainable nutrient management systems. Of special interest is the development of operating protocols for anaerobic digestion, to maximise rates of substrate conversion and biogas yield. As part of this, current research is promoting the use of mass and energy balances as a means of quantifying process performance and developing new analytical tools to broaden our understanding of the process, its kinetics and limitations. Earlier research on wastewater treatment systems based on algal photosynthesis is now linking together with some existing themes including growth of algal biomass for energy production and product generation in biorefineries: this encompasses work on reactor design and biochemical pathways. 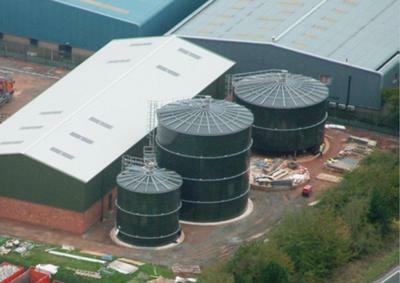 The research looked at the suitability of using anaerobic digestion as a method of processing domestic kitchen waste and was carried out in conjunction with Greenfinch Ltd, specialists in Biogas Technology R & D.
The MERDER treatment system was tested on a site owned and operated by Mayglothling Waste Disposal Ltd where the machines remained for a period of 9 months. A major part of the business of Mayglothling’s is the emptying and tankering of septic tank contents to their own privately-owned and Environment Agency licenced wastewater treatment plant. Boor, M., Banks, C. J., & Krivtsov, V. (2006). How leachate stress modified the population dynamics of two macro-invertebrates: water quality improvements by constructed wetlands? Proceedings - International Association of Theoretical and Applied Limnology, 29(3), 1507-1510. Zhang, Y., & Banks, C. J. (2005). Factors affecting the removal of selected heavy metals using a polymer immobilised sphagnum moss as a biosorbent. Environmental Technology, 26(7), 733-744. Banks, C. J. (2004). Application of anaerobic process for the treatment of organic fraction in municipal solid waste. Malaysian Journal of Science, 23, 103-113. Lisney, R., Riley, K., & Banks, C. J. (2004). From waste to resource management: part 2. Management Services, 48(1), 6-12. Banks, C. J. (2004). Waste as a resource: a discussion paper on the changes needed for the development of a resource recovery based waste strategy. CIWM Scientific and Technical Review, 5(2), 11-21. Banks, C. J., & Lo, H-M. (2003). Assessing the effects of municipal solid waste incinerator bottom ash on the decomposition of biodegradable waste using a completely mixed anaerobic reactor. Waste Management & Research, 21(3), 225-234. Banks, C. J., Pak, L. N., Abdrashitova, S. A., Aitkeldieva, S. A., & Kurmanbaev, A. A. (2003). Dynamics of bacterial numbers in waste stabilisation ponds in sharply continental climate conditions of the city of Almaty. Isvestiya of the Academy of Sciences Republic of Kazakhstan - Biological and Medical Series, 2003(2), 64-71. Alhakawati, M. S., Banks, C. J., & Smallman, D. J. (2003). Evaluation of two types of polyurethane for the immobilisation of Rhizopus oryzae for copper uptake. Water Science & Technology, 47(9), 143-150. 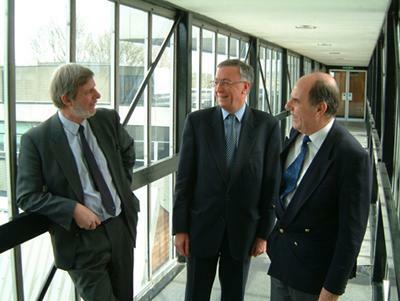 Banks, C. J., Lisney, R., & Riley, K. (2003). From waste to resource management: part 1. Management Services, 47(12), 8-14. Torrella, F., López, J. P., & Banks, C. J. (2003). Survival of indicators of bacterial and viral contamination in wastewater subjected to low temperatures and freezing: application to cold climate waste stabilisation ponds. Water Science & Technology, 48(2), 105-112. Banks, C. J., Abdrashitova, S. A., Pak, L. N., & Koloskov, G. B. (2002). An assessment of using waste stabilisation ponds for cleaning of communal sewage in extreme continental climate: laboratory and pilot testing. (In Russian) Biotechnology Theory and Practice,1, 99-107. Banks, C. J., & Pak, L. N. (2001). An evaluation of waste stabilisation ponds for extreme continental climates: the design of laboratory and pilot scale trials. Izvestiya Akademii Nauk, Academy of Sciences of Kazakhstan, Biological Series 6, 6, 20-30. Al-Hakawati, M. S., & Banks, C. J. (2000). Copper removal by polymer immobilised Rhizopus oryzae. Water Science & Technology, 42(7-8), 345-352. Banks, C. J., & Wang, Z. (1999). 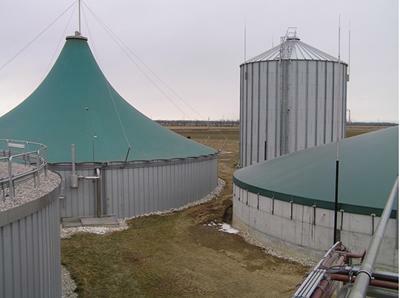 Development of a two phase anaerobic digester for the treatment of mixed abattoir wastes. Water Science & Technology, 40(1), 69-76. Borja, R., & Banks, C. J. (1996). Evaluation of instability and performance of an upflow anaerobic sludge blanket (USAB) reactor treating high-strength ice cream wastewater. Biotechnology and Applied Biochemistry, 23(1), 55-61. Borja, R., & Banks, C. J. (1994). Kinetic study of anaerobic digestion of fruit processing wastewater in immobilized cell bioreactors. Biotechnology and Applied Biochemistry, 20, 79-92. Borja, R., Banks, C. J., & Wang, Z. (1994). Stability and performance of an anaerobic downflow filter treating slaughterhouse wastewater under transient changes in process parameters. Biotechnology and Applied Biochemistry, 20(3), 371-383. Banks, C. J., Davies, M., Walker, I., & Ward, R. D. (1976). Biological and hysical characterization of activated sludge: A comparative experimental study at ten treatment plants. Water Pollution Control, 75(4), 492-508. Banks, C. J., Davies, J. M., Walker, I., & Ward, R. D. (1976). Biological and physical characterisation of activated sludge: a comparative experimental study of ten different treatment plants. Journal of Water Pollution Control, 75(4), 492-508. Banks, C. J., & Wang, Z. (2005). Treatment of meat wastes. In L. K. Wang, Y-T. Hung, H. H. Lo, & C. Yapijakis (Eds. ), Waste treatment in the food processing industry (pp. 67-100). USA: CRC Press. Banks, C. J., & Wang, Z. (2004). Treatment of meat industry wastes. In L. K. Wang, Y. Hung, H. H. Lo, & C. Yapijakis (Eds. ), Handbook of Industrial and Hazardous Wastes Treatment, Second Edition (pp. 685-718). London, UK: CRC Press. Banks, C. J. (1997). Scavenging trace concentrations of metals. In J. D. A. Wase, & C. Forster (Eds. ), Biosorbents for Metal Ions (pp. 115-140). London, GB: Taylor & Francis. Lin, M. C., & Banks, C. J. (1995). An experimental evaluation of some of the factors likely to affect the biological treatment of coke oven waste water. In The Yearbook of the Coke Oven Managers Association (pp. 245-257). Scunthorpe, GB: Coke Oven Managers Association. Banks, C. J. (1994). Anaerobic digestion of solid and high nitrogen content fractions of slaughterhouse wastes. In M. R. Okos, M. Renkowitz, & K. Niranjan (Eds. 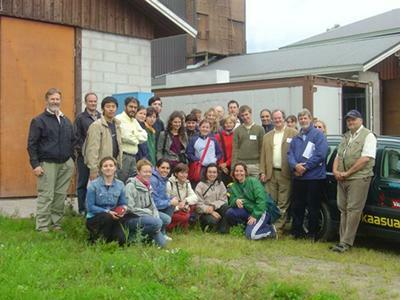 ), Environmentally Responsible Food Processing (pp. 103-109). (Aiche symposium series; Vol. 90, No. 300). American Institute of Chemical Engineers. Banks, C. J., & Young, E. (1994). The potential application of biosorption to the treatment of water and waste water. In 5th Annual Conference on Industrial Waste Water Treatment,16-17th Feb 1994, Manchester London, GB: IBC publications. Banks, C. J., & Wong, P. P. (1991). Review of the disposal options for abattoir by-products. In Options for by-products disposal (pp. 19-39). (Meat Strategies Series). Milton Keynes, GB: Meat and Livestock Commission. Jain, S., Salter, A. M., & Banks, C. J. (2011). Calculating the economic cost of mitigating GHG emissions from UK dairy farms by anaerobic digestion of slurry. Paper presented at International Symposium on Anaerobic Digestion of Solid Wastes and Energy Crops, . Banks, C. J., & Stringfellow, A. (2008). A pilot-scale trial comparing mesophilic and thermophilic digestion for the stabilisation of source segregated kitchen waste. Paper presented at 5th IWA International Symposium on Anaerobic Digestion of Solid Wastes and Energy Crops, . Zhang, Y., & Banks, C. J. (2008). 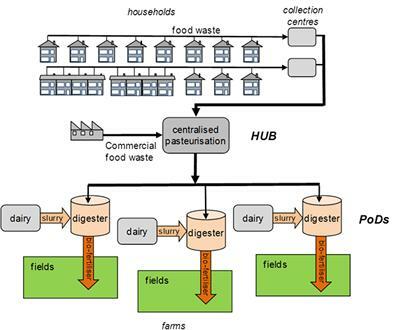 Characterisation of municipal waste streams and a preliminary evaluation of the co-digestion efficiency with some industrial and agricultural wastes. Paper presented at 5th IWA International Symposium on Anaerobic Digestion of Solid Wastes and Energy Crops, . Salter, A. M., & Banks, C. J. (2008). Establishing an energy balance for crop based anaerobic digestion. Paper presented at 5th IWA International Symposium on Anaerobic Digestion of Solid Wastes and Energy Crops, . Banks, C. J., Zhang, Y., & Zhang, N. (2008). High solids anaerobic digestion of biodegradable municipal waste: effect of organic loading rate on digester performance. Paper presented at 5th IWA International Symposium on Anaerobic Digestion of Solid Wastes and Energy Crops, . Banks, C. J., & Neylan, D. J. (2008). Plug flow anaerobic digestion of ryegrass as an energy crop. Paper presented at 5th IWA International Symposium on Anaerobic Digestion of Solid Wastes and Energy Crops, . Banks, C. J., & Climenhaga, M. A. (2008). Uncoupling of liquid and solid retention times in anaerobic digestion of catering wastes. 5th IWA International Symposium on Anaerobic Digestion of Solid Wastes and Energy Crops, . Banks, C. J., & Salter, A. M. (2007). EU Cropgen: biogas from energy crops and agrowastes. Paper presented at Bioenergy 2007: 3rd International Bioenergy Conference and Exhibition, Finland. Bartosh, Y., & Banks, C. J. (2006). 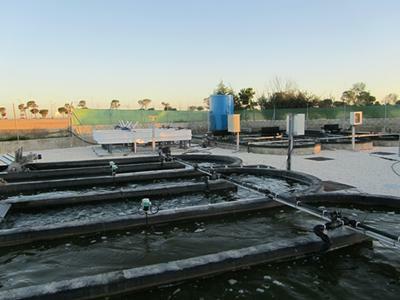 Algal growth response in a range of light and temperature conditions: implications for non-steady-state conditions in waste stabilisation ponds. Paper presented at 7th IWA Specialist Group Conference on Waste Stabilization Ponds: Advances in Pond Technology and Management, . Dacombe, P., & Banks, C. J. (2006). Energy footprint analysis: does recycling reduce the environmental impact of domestic waste management?. Paper presented at 5th annual symposium on waste treatment technologies 2006, . Banks, C. J., & Dacombe, P. (2006). Measuring the resource potential in commercial and industrial wastes from food related businesses. 389-398. Paper presented at In: Waste 2006: Sustainable Waste and Resource Management, The Waste Conference Limited, . Banks, C. J. (2005). A critical evaluation of the analytical techniques used in the microbiological quality control of waste-waters subjected to freeze-thaw stress as typically found in cold waste stabilisation pond systems. PW7REM3. Paper presented at IWA 6th International Conference on Waste Stabilisation Ponds, . Banks, C. J. (2005). Further characterisation of the die-off of microbial pollution indicators subjected to freezing stress: application to cold climate pond wastewater treatment systems. PW7REM4. Paper presented at IWA 6th International Conference on Waste Stabilisation Ponds, . Salter, A. M., Holiday, L., Banks, C. J., Chessire, M., & Mulliner, R. (2005). Plant biomass as an energy efficient feedstock in the production of renewable energy. Paper presented at 14th European Biomass Conferenceand Exhibition: Biomass for Energy, Industry and Climate Protection, . Dacombe, P., Banks, C. J., & Khan, T. (2005). Strategies and Technologies for Sustainable Urban Waste Management: Commercial and Industrial Waste Audit of SMEs. Paper presented at Sustainable Urban Environment: Vision into Action Conference, . Bloor, M. C., & Banks, C. J. (2005). The sub-lethal toxicity of landfill leachate towards two aquatic macro-invertebrates: demonstrating the remediation potential of aerobic digestion, air stripping and phytoremediation. Paper presented at Third European Bioremediation Conference, . Bloor, M. C., & Banks, C. J. (2004). Mixed species toxicity tests to monitor the impact of leachate on an aquatic environment. Paper presented at Annual Main Meeting of the Society for Experimental Biology 2004, . Bloor, M. C., Banks, C. J., & Krivtsov, V. (2004). Population dynamics in Asellus aquaticus as modified by chronic leachate stress. Paper presented at 4th British Geotechnical Association Conference: Geoenvironmental Engineering: Integrated Management of Groundwater and Contaminated Land, . Banks, C. J. (2004). The use of synthetic sewage for laboratory purposes. Paper presented at IWA Young Researchers' conference 2004, . Banks, C. J. (2004). Water quality improvements by biological treatment: how leachate stress modifies the population dynamics of Asellus aquaticus and Gammarus pulex. Paper presented at Proceedings of the 2nd IWA International Young Researcher Conference, . Bloor, M. C., & Banks, C. J. (2004). Water quality improvements by constructed wetlands: how leachate stress modified the population dynamics of two macro-invertebrates. Paper presented at 4th IWA UK Young Researchers Conference, . Banks, C. J., & Smallman, D. J. (2003). 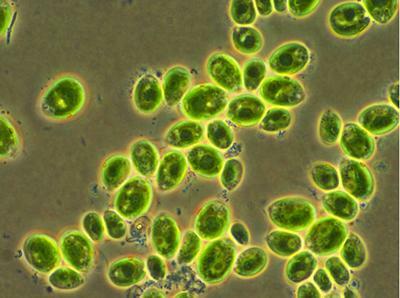 An evaluation of growth kinetics and oxygen production of two typical green algae (Chlorella and Scenedesmus ) grown under controlled laboratory conditions. In A. N. Shilton, R. J. Craggs, & N. Walmsley (Eds. ), Waste Stabilisation Ponds: Pond Technology for the New Millennium IWA. Bloor, M. C., & Banks, C. J. (2003). Assessing how landfilling could affect the ecology of the far-field aquatic environment. Paper presented at 3rd European Bioremediation Conference, . Bloor, M. C., & Banks, C. J. (2003). Assessment of the acute and chronic toxicity of leachate to two aquatic invertebrates, and possible toxicity reduction by reed bed treatment. Paper presented at 4th International Symposium on Waste Treatment Technologies (Thermal, Non-Thermal and Gas Clean-up) Conference, . Abdrashitova, S. A., Torrella, F., & Banks, C. J. (2003). Die-off of faecal organisms in an extreme climate waste stabilisation pond with over-winter water storage. Paper presented at International Ecological Forum 'Balkhash-2000', . Bloor, M. C., & Banks, C. J. (2003). The reduction of leachate toxicity to two aquatic invertebrates by air stripping trials. 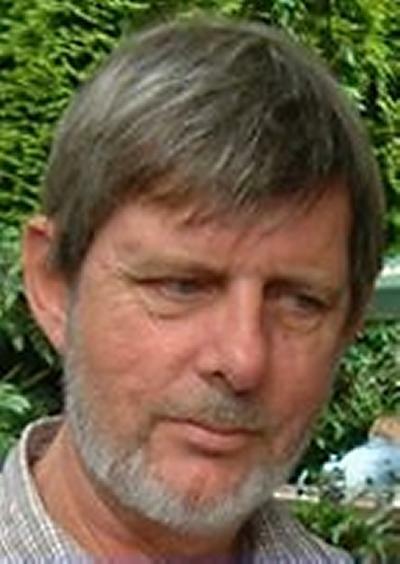 Paper presented at Proceedings of the 8th European Biosolids and Organic Residuals Conference, . Banks, C. J. (2003). To assess how landfiling could affect the ecology of the far-field aquatic environment. Paper presented at 9th International Waste Management and Landfill Symposium, . Bloor, M. C., & Banks, C. J. (2003). To assess how landfilling could affect the ecology of the far-field aquatic environment. Paper presented at 4th IWA UK Young Researchers Conference, . Banks, C. J., & Stringfellow, A. (2002). 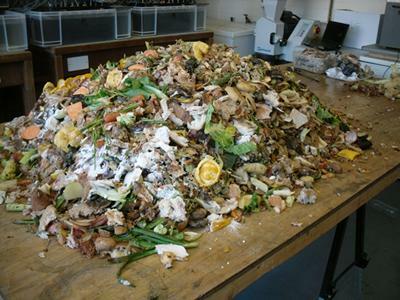 Biodigestion of kitchen wastes. Paper presented at Proceedings of the Chartered Institute of Waste Management 2002 Conference, . Banks, C. J., & Gaber, N. (2002). Development of a mechanistic model to determine the partitioning of heavy metals in wastewater treatment. Paper presented at Proceedings of 5th International conference on Hydroinformatics, . Banks, C. J., Abdrashitova, S. A., & Torrella, F. (2002). Die-off of faecal organisms in an extreme climate waste stabilisation pond with over winter storage. Paper presented at In Proceedings of 5th International IWA Conference on Waste Stabilization Ponds, . 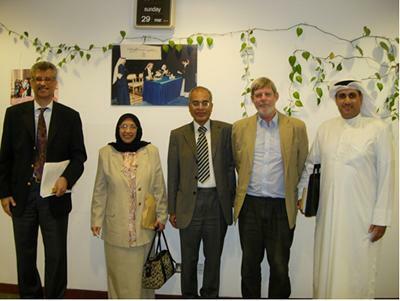 Banks, C. J., Smallman, D. J., & Alhakawati, M. S. (2002). Evaluation of two types of polyurethane for the immobilisation of Rhizopus oryzae for copper uptake. Paper presented at Proceedings of the 3rd IWA World Water Congress, . Banks, C. J., Abdrashitova, S. A., Pak, L. N., & Koloskov, G. B. (2002). Potential for use of bioponds for treatment of wastewater in conditions of extreme continental climates. Paper presented at Proceedings of International Environmental Forum on problems of sustainable development of the Ili-Balkhash basin "Balkhash 2000", . Banks, C. J. (2002). The application of Anaerobic Digestion (AD) technology to the treatment of the organic fraction of MSW. Paper presented at South West Energy and Environment Group Seminar: Technologies for Treating Residual Municipal Solid Waste, United Kingdom. Wang, Z., & Banks, C. J. (2000). Effect of the temperature on the degradation of the organic fraction of municipal solid waste (OFMSW) using a conventional single stage anaerobic process and a two stage anaerobic aerobic system. In J. Mata-Alvarez, F. Cecchi, & A. Tilche (Eds. ), Anaerobic Digestion of Solid Waste II. Selected Proceedings of the 2nd International Symposium on Anaerobic Digestion of Solid Waste, Barcelona, Spain, 15-18 June 1999 (pp. 85-88). London, GB: International Water Association Publishing. Banks, C. J., & Wang, Z. (1999). An evaluation of the efficiency of anaerobic permeating bed column reactor for the treatment of MSW using an aerobically treated leachate recycle. Paper presented at 5th International Conference on Solid Waste Technology and Management, United States. Banks, C. J., & Al-Hakawati, M. S. (1999). Copper removal by polymer immobilised rhizopus oryzae. Paper presented at 3rd IWA Specialised Conference on Hazard Assessment and Control of the Environmental Contaminants, Japan. Banks, C. J., & Wang, Z. (1998). Development of a two phase anaerobic digester for the treatment of mixed abattoir wastes. 129-136. Paper presented at 4th International Symposium on Waste Management in the Agro-Industries, Turkey. Banks, C. J., Sharratt, P. N., & Rashad, A. (1995). Recovery of carboxylic acids from waste blood fermentation. 3. Paper presented at IChemE Annual Research Event, United Kingdom. Banks, C. J. (1994). Abattoir by-product disposal options: emerging technological solutions. In Proceedings of the Sino-British Seminar on Industrial Waste Water Management (pp. 63-70). 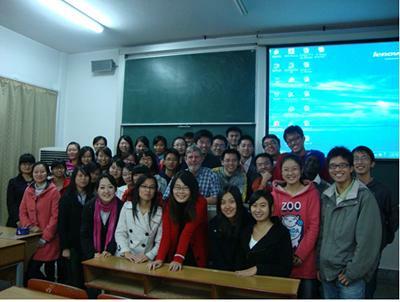 Beijing, CN: China National Environmental Protection Agency and the British Council. Banks, C. J., & Zhou, J. L. (1993). Colour removal from natural waters by biosorption. Paper presented at 15th Federal Convention of Australian Water & Wastewater Association, Australia. Banks, C. J. (1993). Emerging technologies: options for treatment. In Proceedings of the 4th annual conference on industrial waste water treatment London, GB: IBC publications. Banks, C. J., & Young, E. (1993). The application of biosorption to the removal of chlorinated organics from waste water. Paper presented at IChemE Annual Research Event, United Kingdom. Banks, C. J. (1979). Algunas factores biologicas y quimicos y sus usos en el diseno y control de procesos de tratmiento de aguas residuales. 1-44. Paper presented at Association Colombiana de Ingenieros Sanitarios: Diseno de systemas para tratamiento de desechos liquidos, Colombia. Riley, K., Lisney, R., Graveson, G., Avery, I., Archer, P., Read, S., ... Freeman, R. (2005). From waste to resource management: an update for 2005. Winchester, GB: Hampshire Printing Services. Banks, C. J., Humphreys, P. N., Pugh, S. Y. R., & Ashley, R. M. (1992). Microbial treatment of low-level radioactive waste. London, GB: UK Department of the Environment. Banks, C. J., Cox, S. E., & Hamilton, R. (1987). 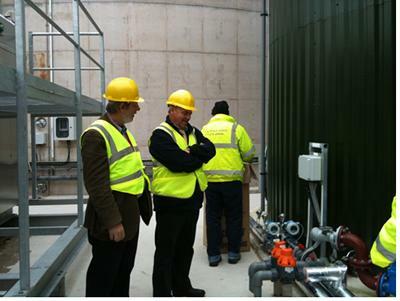 Anaerobic digestion of abattoir wastes at the Bishops Castle Meat Co. -an evaluation of the farm gas process. Milton Keynes, GB: Meat and Livestock Commission. Lisney, B., & Riley, K. (2003). From waste to resource management: a discussion paper. Winchester, GB: Hampshire County Council.